Day two of PestWorld 2013 (October 23, 2013) got off to an enthusiastic start as the 3,300 attendees got the privilege to hear from Jordan Belfort, “the Wolf of Wall Street.” After his remarks all of us pest professionals spent the rest of the morning checking out the pest management exhibits in the exhibit hall, while we mingled and networked with pest management professionals from all over the world. The afternoon was spent sitting in on some concurrent educational sessions, learning about some of the latest pests and pest technologies. During these sessions, much emphasis was also placed on PMP marketing, business management, and industry related training. You can change your life story by not succumbing to a negative situation. If you have a vision, goals, and are driven toward something, you’re happy no matter where you are in life. Our success or lack there-of, can come from our inner-world skills. 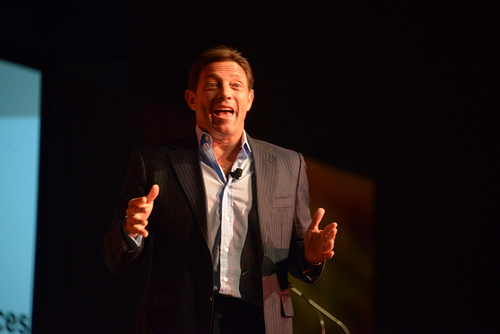 Our belief systems, or the things in our head, lead us to success. There’s always going to be stuff to trip us up. Be visionary. Focus on visions, not just goal setting. Gravitate to other people with vision. It’s hard to turn non-buyers into buyers. It’s easier to get existing buyers to flip. Linear concepts are easier for customers, and all of us to grasp. 2. Have the ability to share your vision. Make it known to others and empower them to take action. 3. Give more value than you look to receive. Monetize this value. Money and success is a byproduct of value. There were 24 different educational sessions to choose from today; everything from hiring/training PMP’s, to bedbug progress, to risks and rewards of pest control technologies. I had the opportunity to personally sit in on these three educational sessions. Ponerine ants- From Africa and Central Asia, now worldwide. They sting! Nest under concrete slabs. Winged females are problems, leaving colonies, mating and stinging. Difficult to control. Odorous House ants- is a tramp ant because they’re moving across the country. Now #1 most invasive ant, overtaking carpenter ant. Gel baits work best for these ants. Velvety Tree ant- Similar to odorous house ant, but bigger. Moving from forested areas into structures. Very serious problem. Pavement ants- Stinging ants hiding under concrete slabs. Move around a lot. White footed ants- found in Florida, SE United States, California, and Hawaii. Liquid baits to treat as well. Pharaoh ants- Comes from Africa, and might be biggest tramp of them all. What Would A World Without PMP’s Look Like? U.S. has ability to export food to poverty stricken countries. Pest control protects this food. Our food exports also affect our economic stability and GDP. Malaria caused 289 million cases and 836,000 deaths in 2010. 90 percent come from areas without pest control. U.S. has very low rates because of pest control and medical technology. 80 percent of diseases are spread by pests. Example: Typhus, Yellow Fever, Plaque which is spread by pests like rats, mosquitoes, and fleas, may have killed billions more victims. Found this fact interesting: If we had pest control in early 1800’s, we wouldn’t have 1/3 of the U.S. Yellow Fever wiped out populations in Haiti, causing Napoleon to sell land known as Louisiana Purchase for $13 million. Dr. Dini Miller of Virginia Polytechnic Institute & State University presented a very elaborate and detailed guide on some of the most effective ways to combat German roaches. In this strategy, it’s crucial to start your baiting program in January if at all possible (tricky I know), and bait highly infested communities with a lot of bait fast. I will likely dedicate a separate blog post to this method and technique in the near future; so stay tuned! 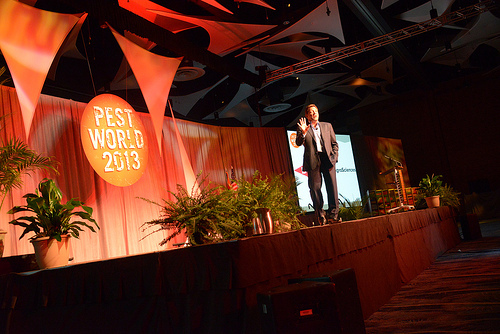 Check back tomorrow for our highlights from day three of PestWorld 2013 in Phoenix, AZ. Great article! I’ll keep coming back for more! Great article! Always great to keep up to date on new pests and pest control techniques!